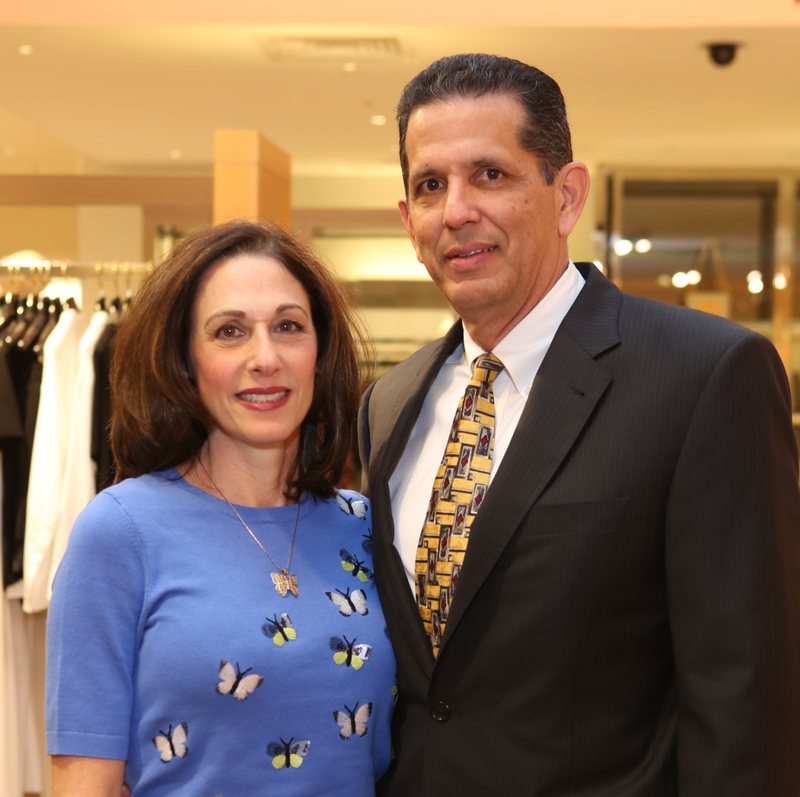 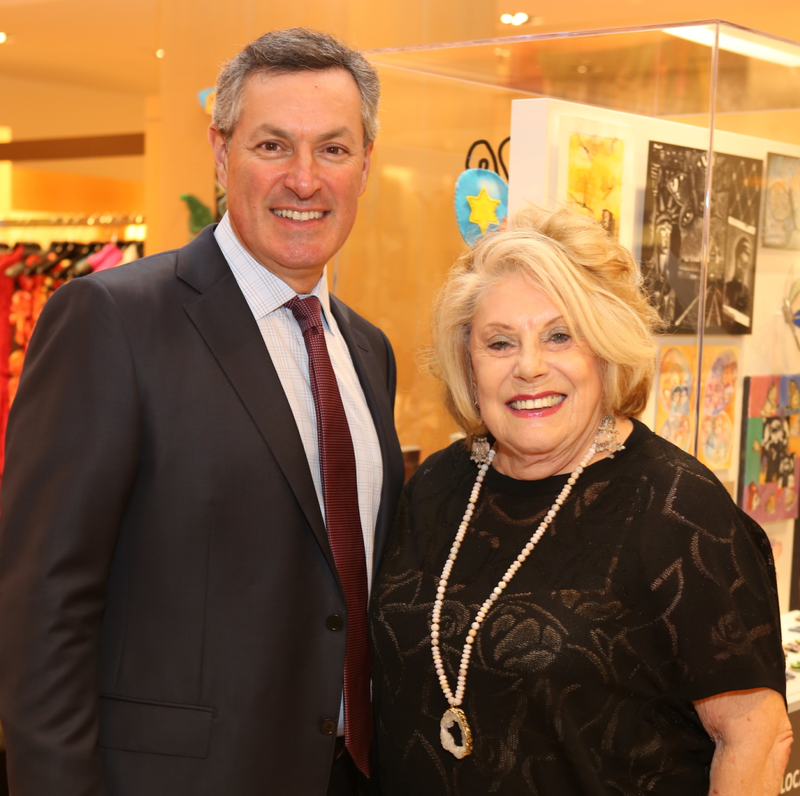 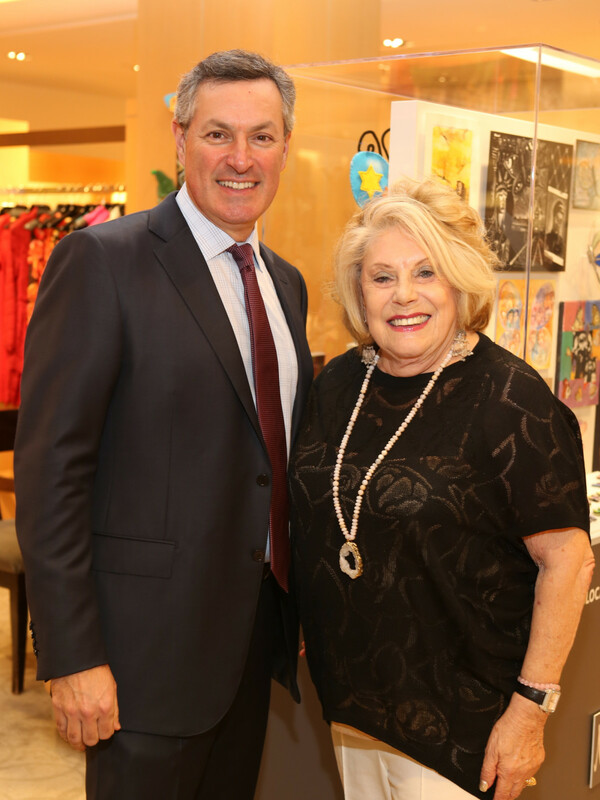 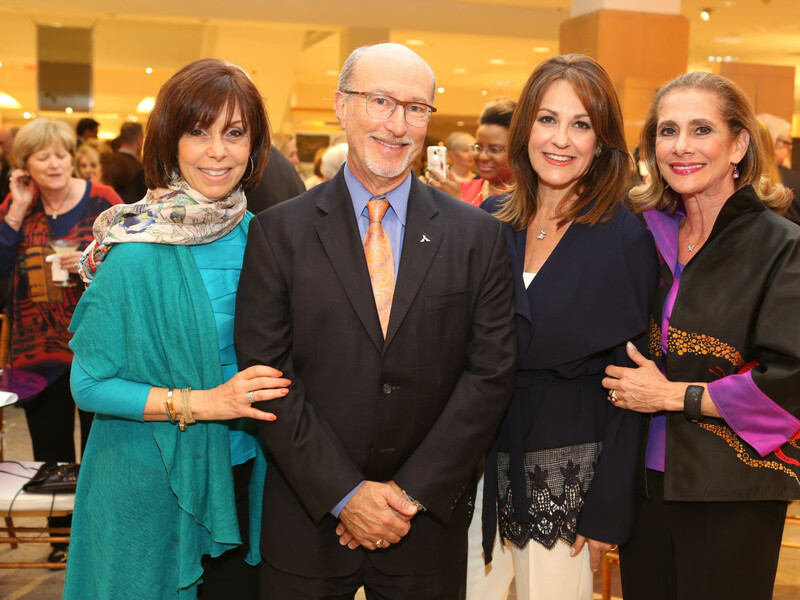 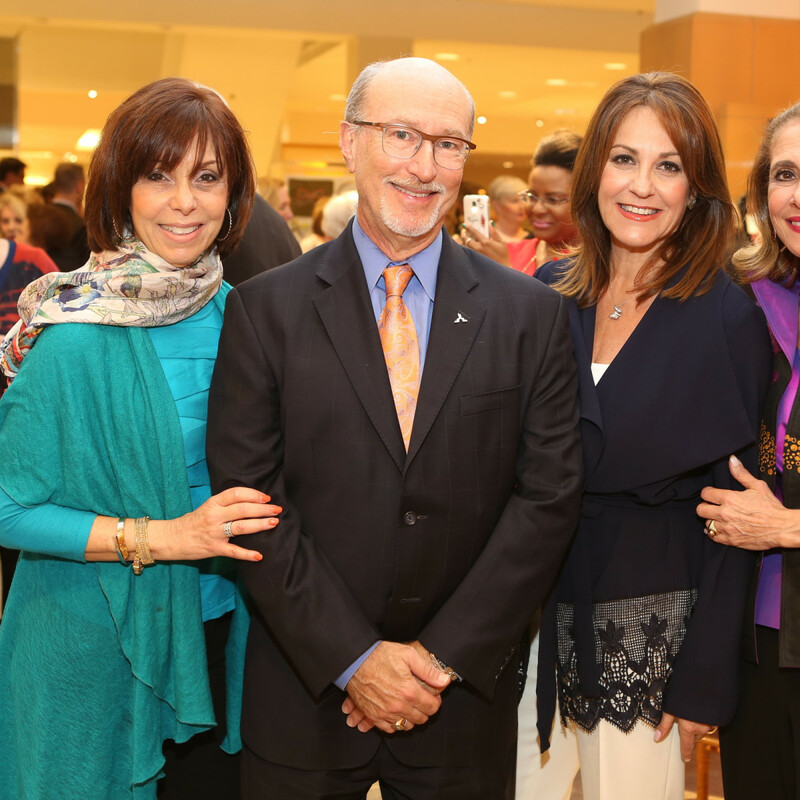 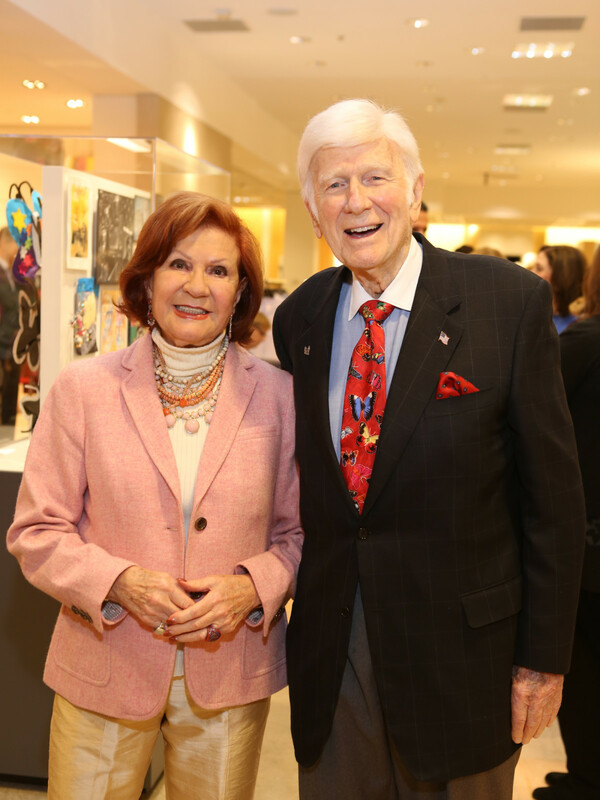 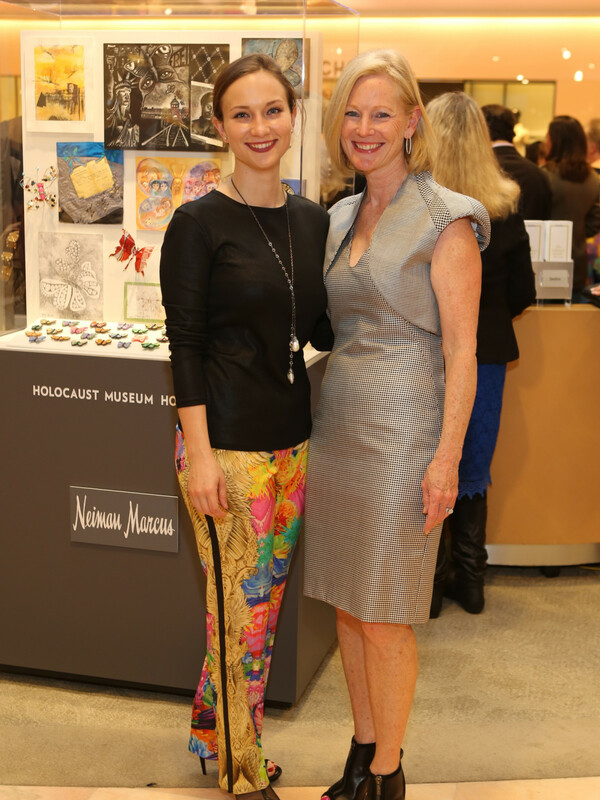 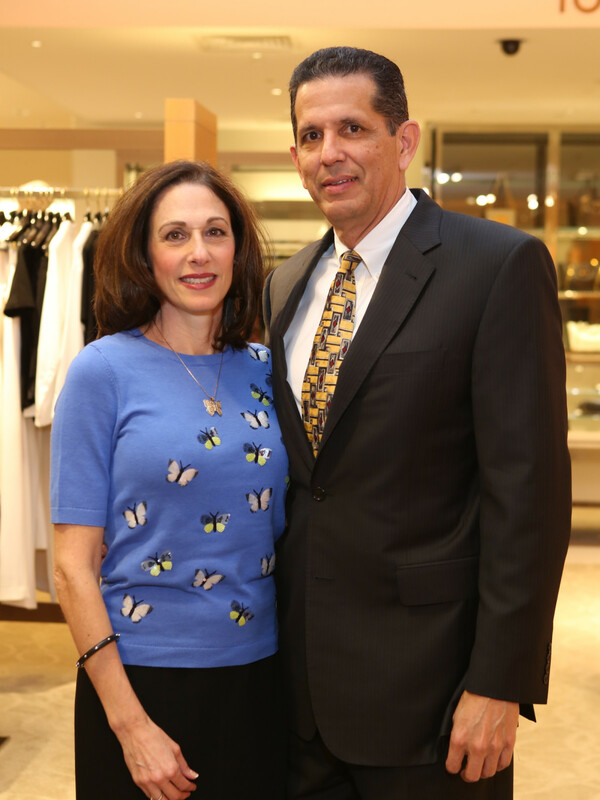 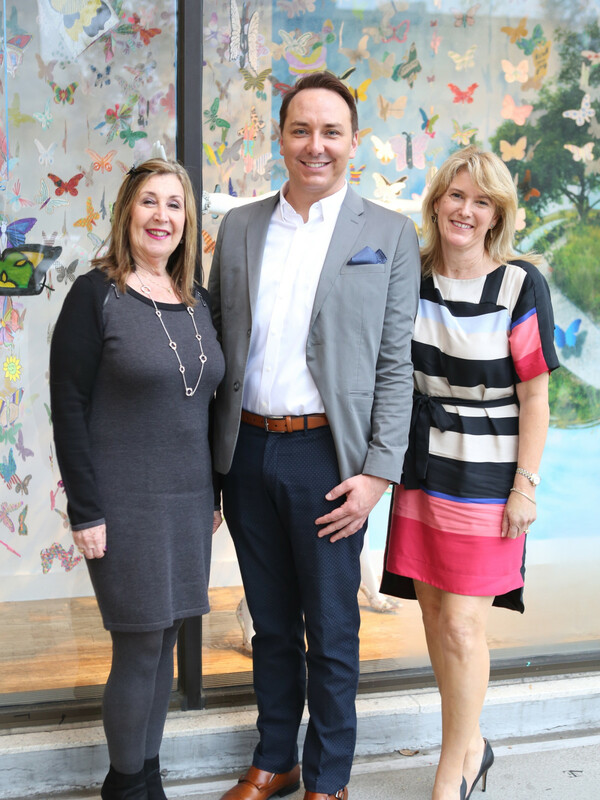 As heart-wrenching as the subject is — the death of 1.5 million children in the Holocaust — the launch of The Butterfly Project, in remembrance of those children, enjoyed a something of a celebratory note as the champagne flowed in the couture salon of Neiman Marcus. 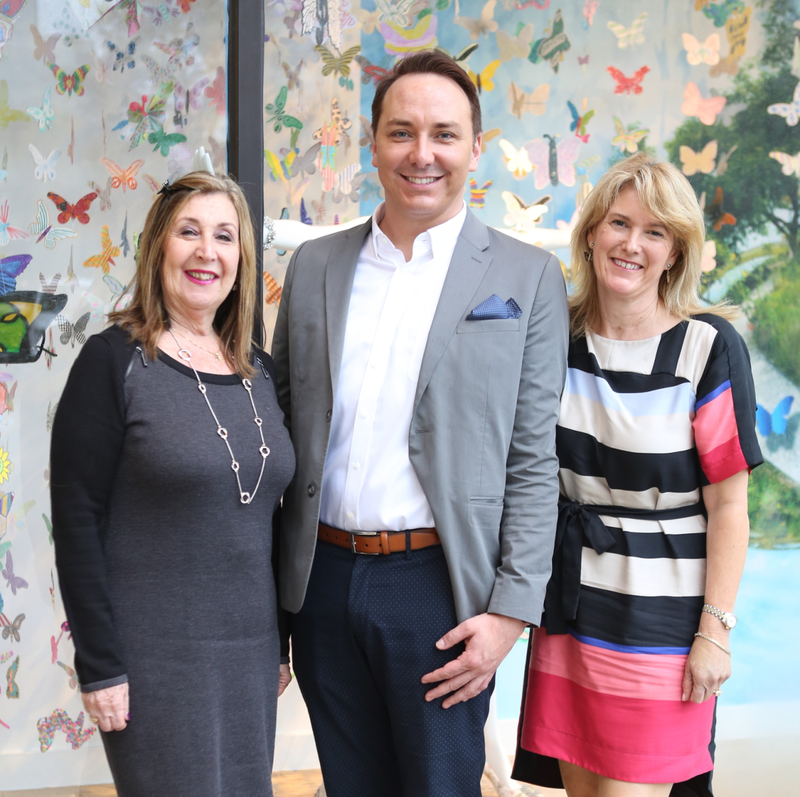 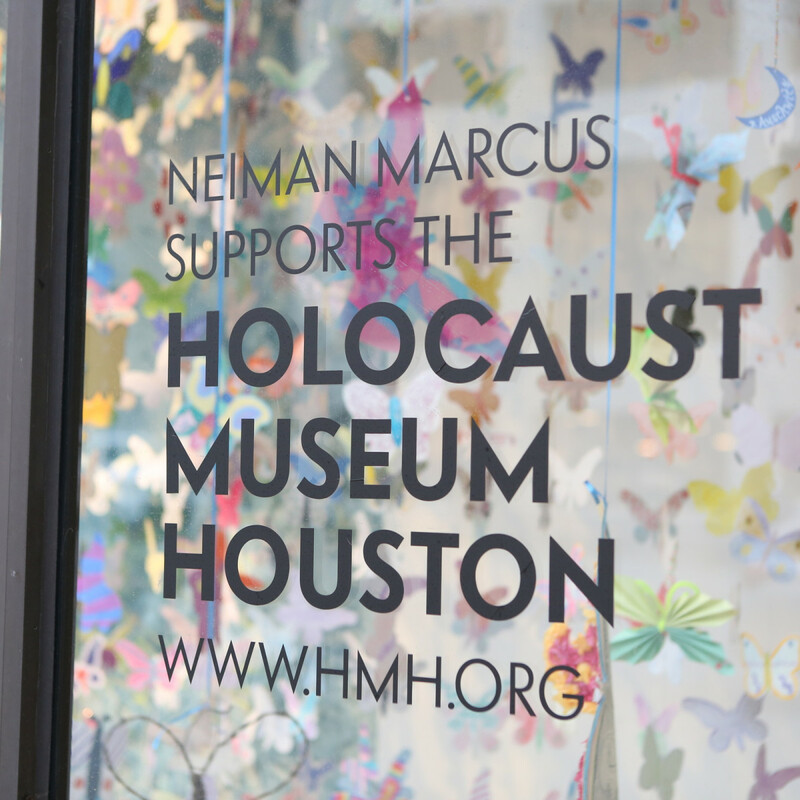 Holocaust Museum Houston's tribute to those lost children has inspired butterfly creations from around the world, filling the museum's coffers with a total of 1.5 million remembrances. 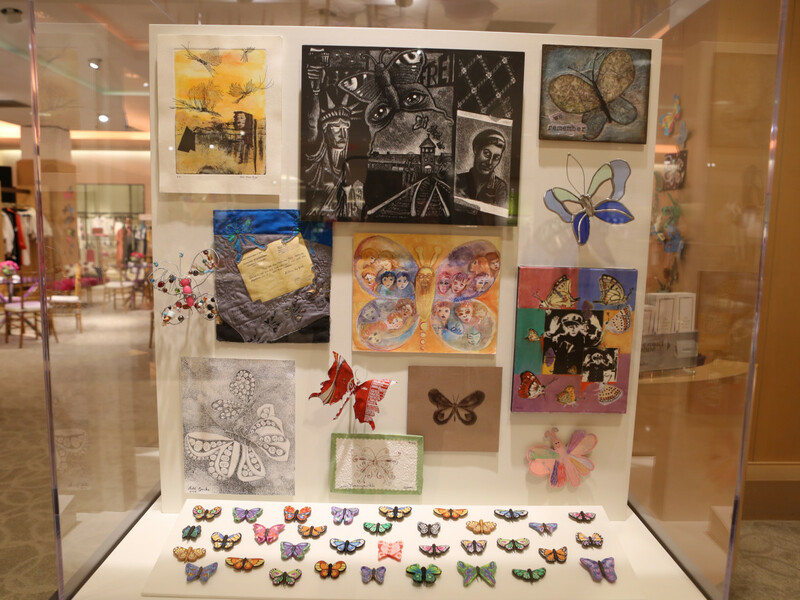 The result is a series of six traveling cases which display thought-provoking and thoughtful examples from the collection. 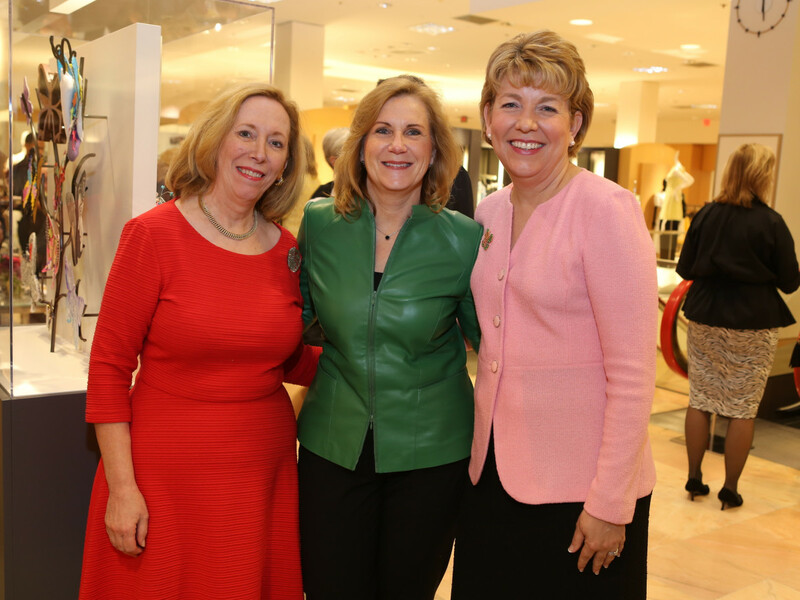 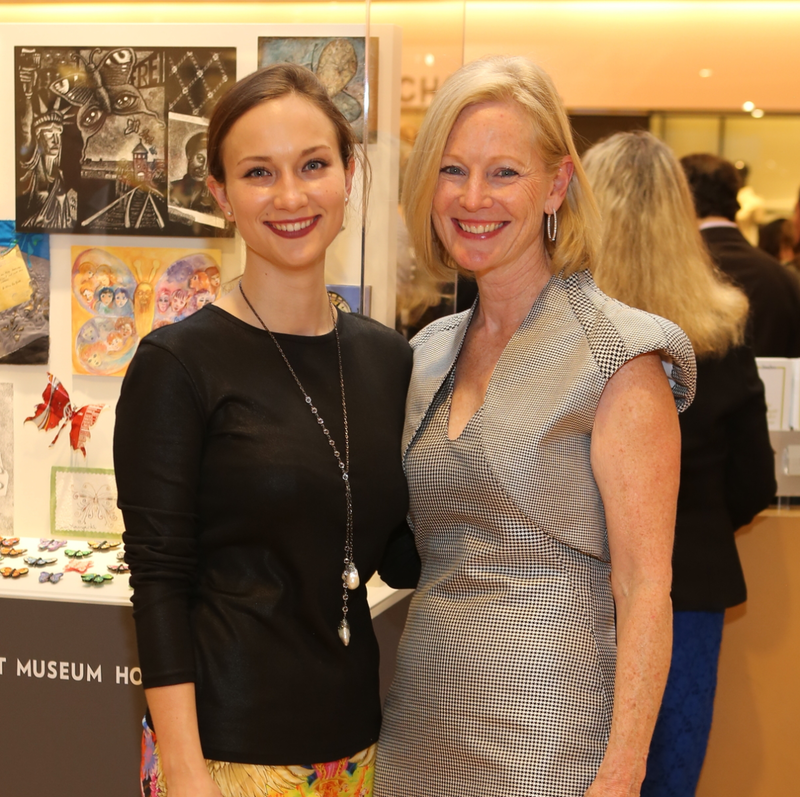 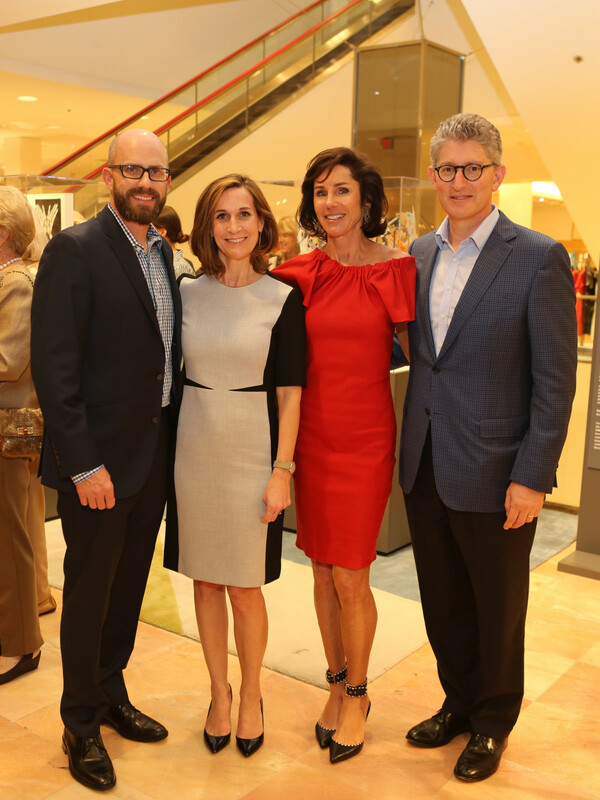 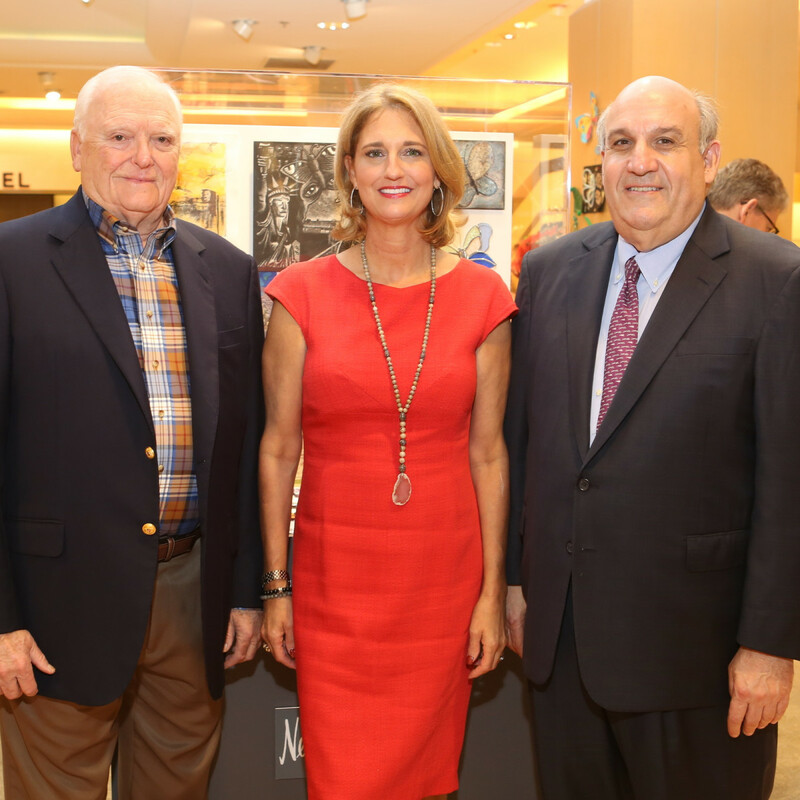 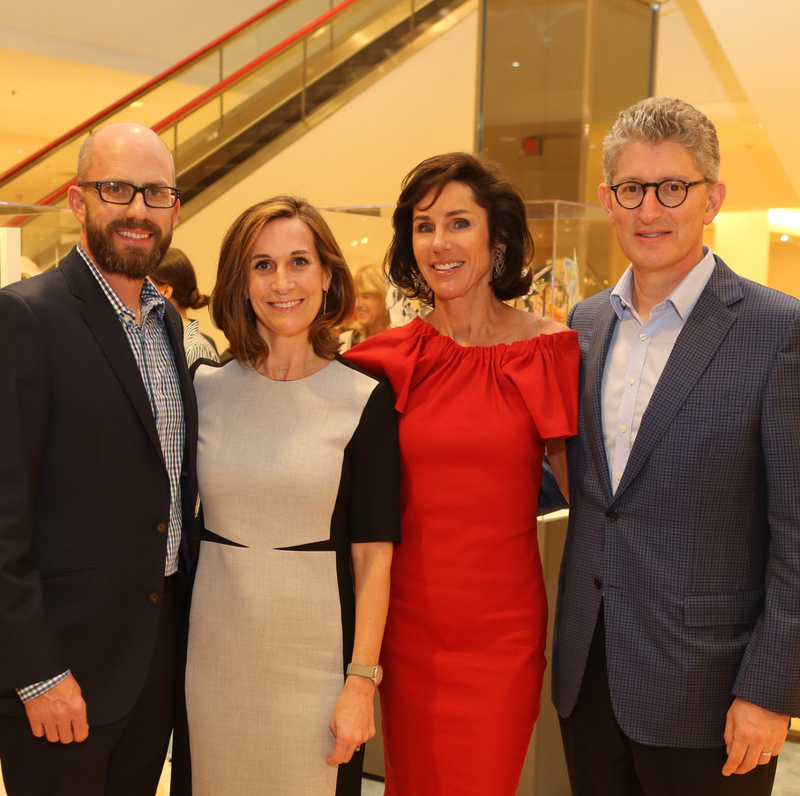 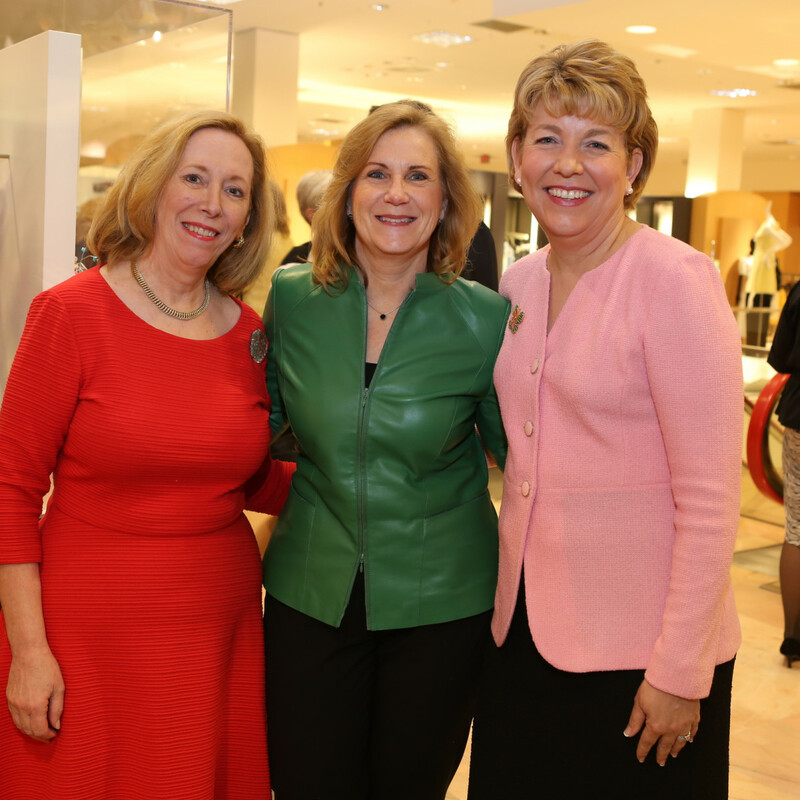 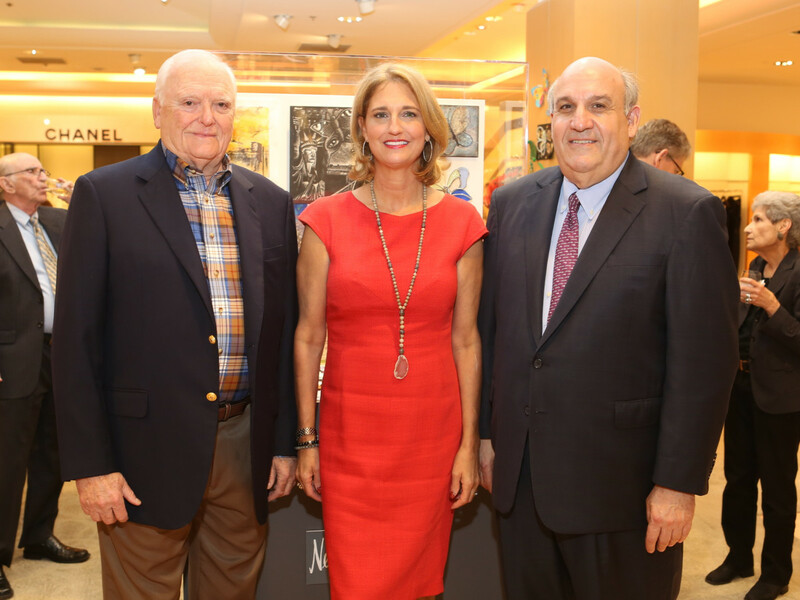 More than 150 VIP museum supporters were invited for a preview of the Neiman's display and to salute the museum's 20th anniversary. 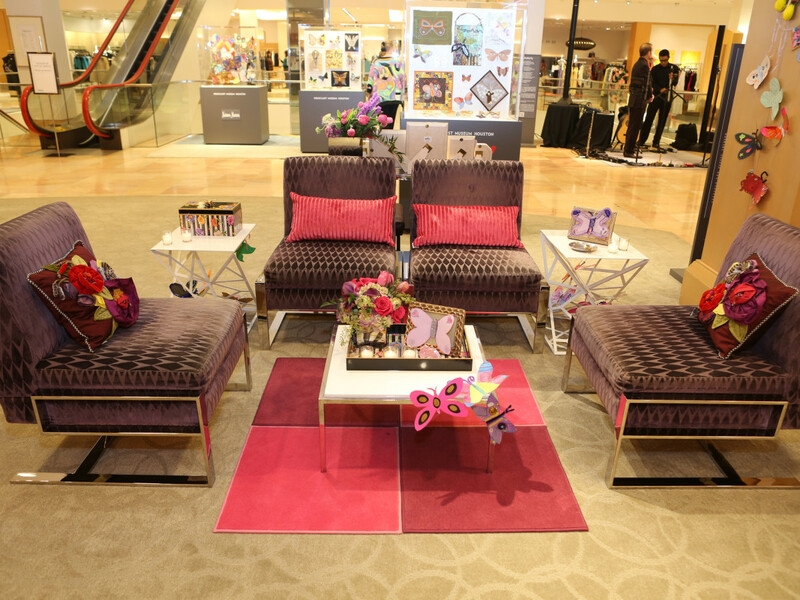 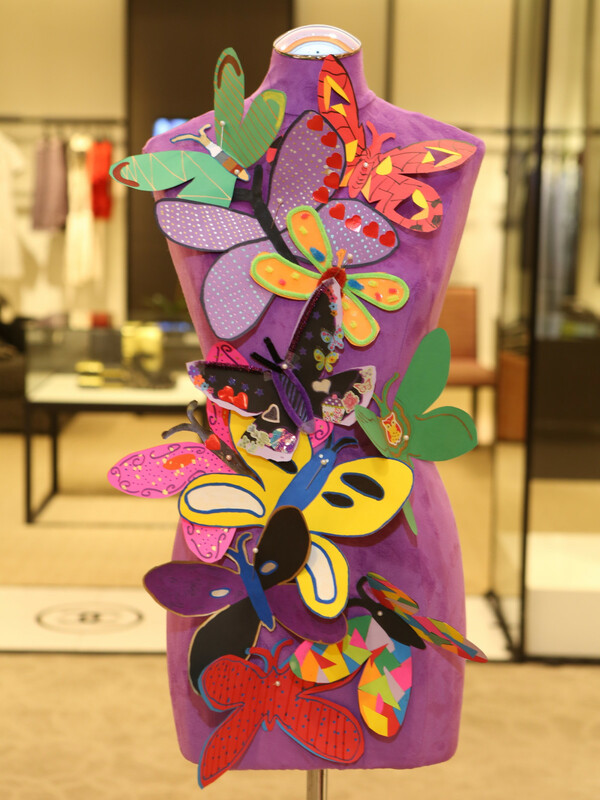 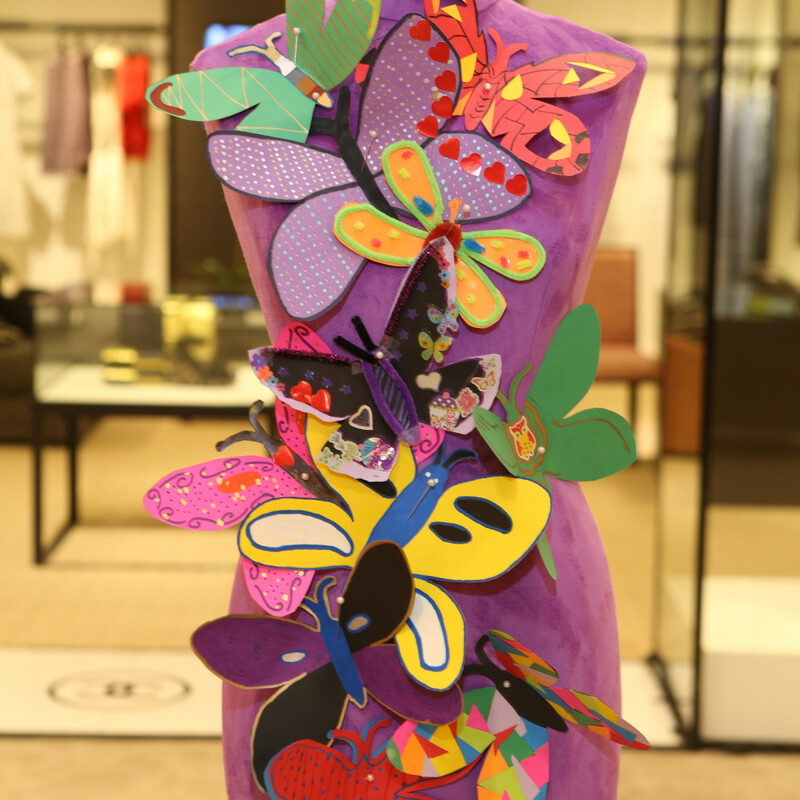 Guests perused three vitrines of butterflies and mingled amid a flock of colorful butterflies that extended from store display windows to the seating area in the couture salon. 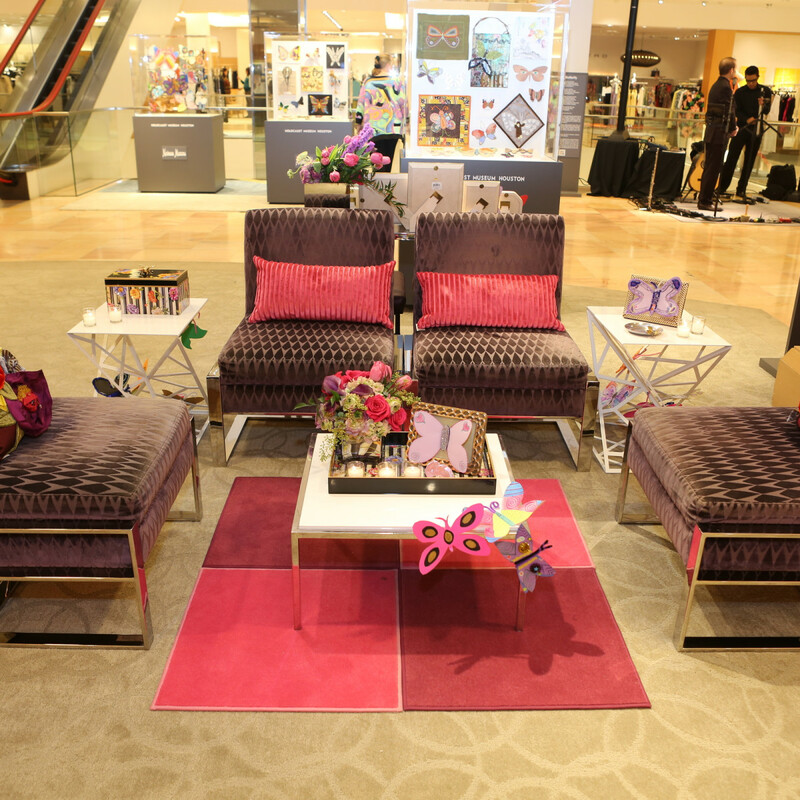 Those three cases and three more in the Galleria proper will be on display through the end of the month. 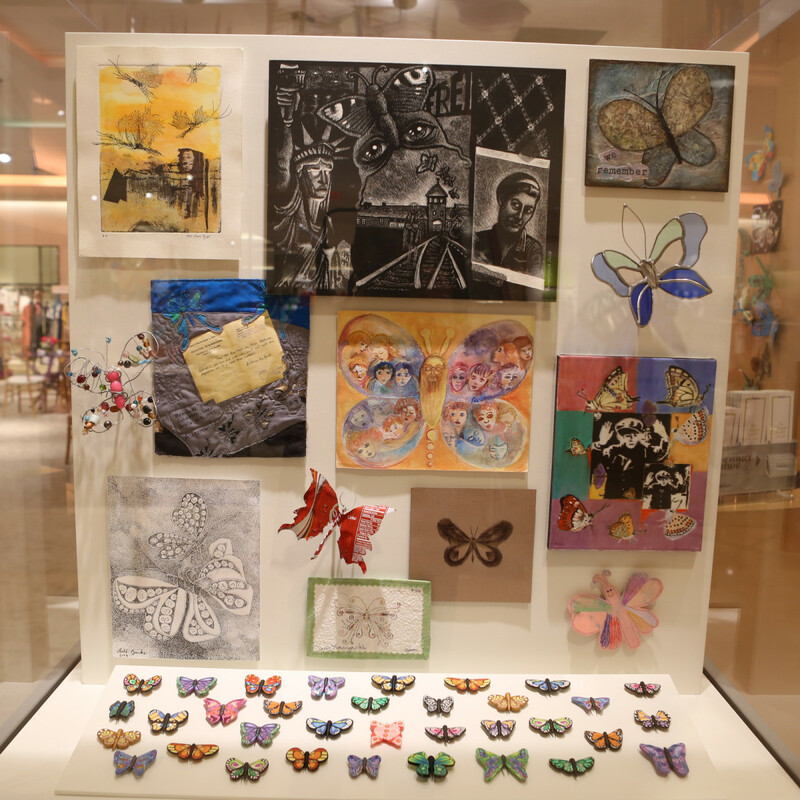 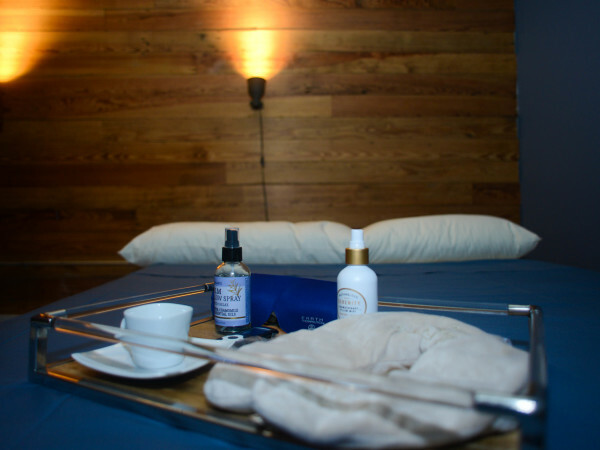 From there, the poignant collection will visit various locations throughout the area. 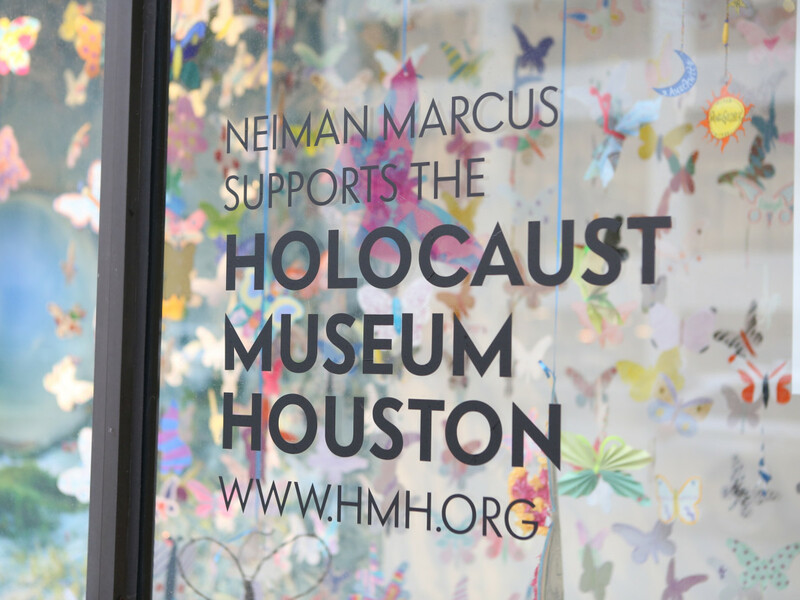 Details are available on the website. 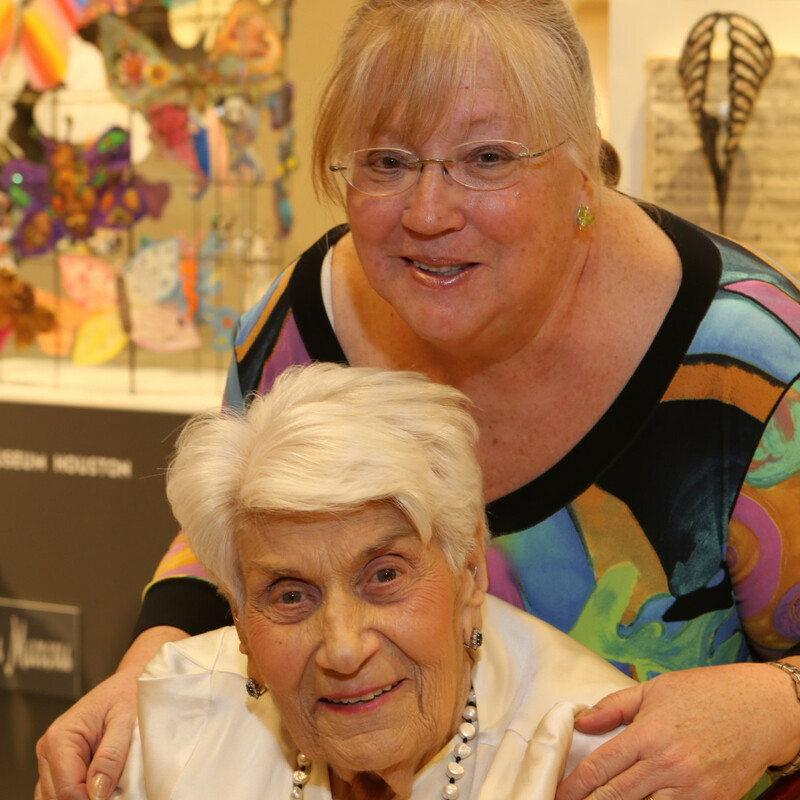 The program included remarks by Butterfly Project chair and former museum board chair Tali Blumrosen and by the current board chair Gail Klein. 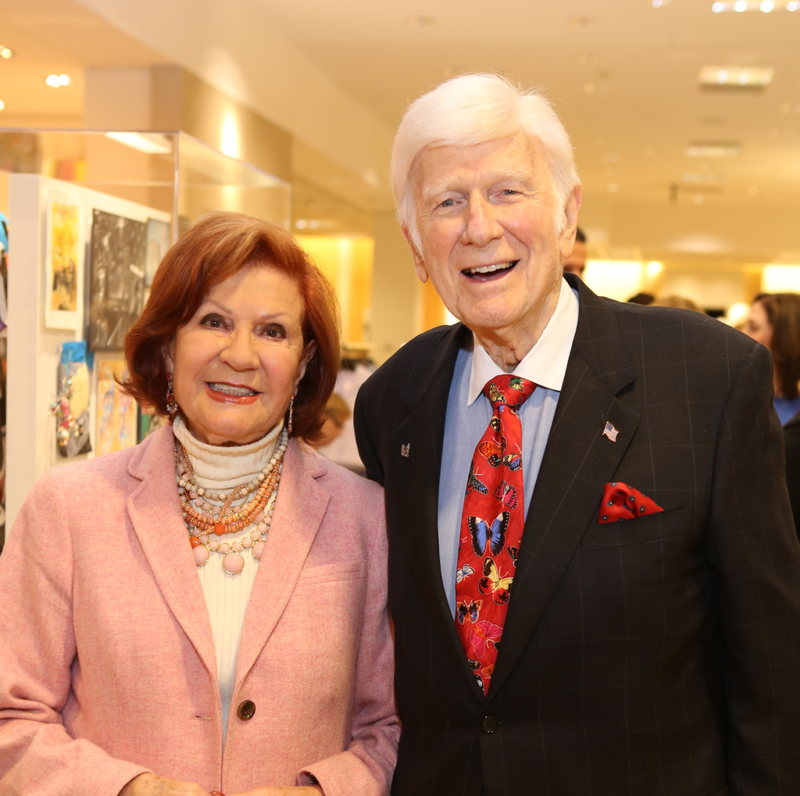 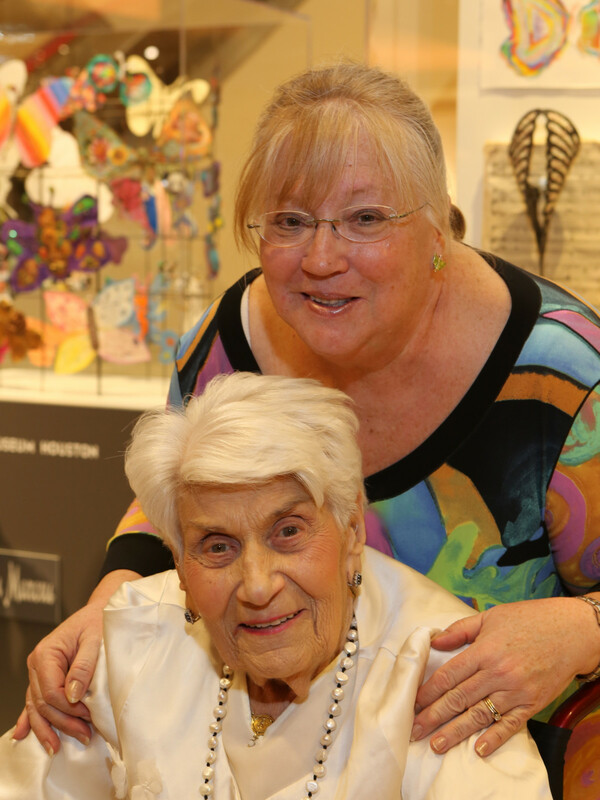 Guests included Holocaust survivors Naomi Warren, Edith Mincberg, Bill Orlin, Ruth Steinfeld, and Chaja Verveer as well as HMH board members Leisa Holland-Nelson, Heidi Gerger, Nancy Dinerstein, and Crystal Ashby.